Hi friends, sharing the last of the guest posts today. I know I’ve said this a few times previously, but it’s been so nice to be able to take some time off and soak up this precious time with little Vander. 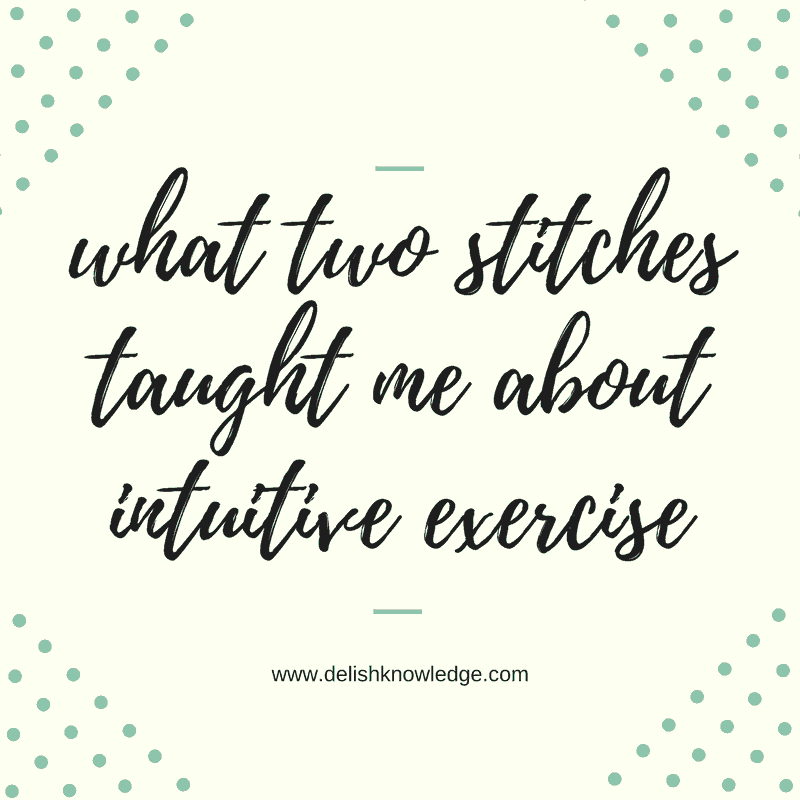 I love this post from my friend Emily on intuitive exercise. We talk a lot about the idea of intuitive eating, but what about intuitive movement? Enjoy this one! xo. 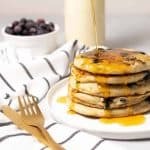 Hello readers of Delish Knowledge! I am so excited to be here, guest posting for Alex while she’s off spending time with her new baby. I’m Emily Weeks, an RD and author of the blog Zen & Spice. My mission is to empower women to trust in their own intuition and natural ability to create the balanced and nourished life they’re meant to live, through cultivating a thriving community that harmonizes the inner being through joyful experiences in the kitchen. You can find me on my blog, on Facebook and Instagram! Over the past year, I’ve gone through a personal transformation after I discovered intuitive eating— the concept of listening to your body and treating it with respect. As I learn more, I’m working on myself. I discovered that I had quite a few disordered eating and exercising habits. I thought I’d share a learning experience with you all about the time I had to get stitches and couldn’t work out for two weeks. Recently, I had a biopsy done on my upper back. Don’t worry, it wasn’t for anything serious. I had been dealing with this insane rash that doesn’t seem to want to budge (and was taking over my life…). Anyway– we’re not here to talk about my skin issues. As my derm was in the middle of the biopsy, my says: “Alright, no exercise for two weeks!”. Gee, thanks for telling me while you’re in the middle of the dang procedure. I had just bought a monthly membership to an online yoga studio, a new mat, cushion, blocks, Buddhist singing bowl, and was getting into a routine of doing yoga at home in my office. Right when I was starting to enjoy home yoga, BOOM, here came something blocking my path. Two stitches in my upper back and no exercise for two weeks. The concept of intuitive exercise means choosing movement that you enjoy and look forward to. For years, I had been forcing myself to run and cycle and lift weights when I wasn’t really enjoying it. Yoga is something I truly enjoy and look forward to, and I never feel like I’m forcing my body to do something it doesn’t like. Being forced to take two weeks off of yoga made me CRAVE movement. I was so excited to go get those two annoying stitches out, so I could finally stretch and move and get back into my yoga practice. That’s the thing about deprivation. If you deprive yourself of something you love, or something your body needs, you’re going to end up craving it and wanting it more. Your body knows what it needs to be happy, healthy and balanced. Avoid movement, and your body is going to give you subtle (or not so subtle) messages that it wants to be active! It works the same way with food: we all have the foods we love that make us feel good. Deprive yourself of those favorite foods, and that’s all you’re going to be able to think about. The key is to tell yourself you can have these foods and movement when your your body wants or needs it — as long as you pay attention to your body and listen for hunger, fullness, and symptoms of over exercising. If you’re feeling stuck and having trouble finding movement you enjoy, I encourage you to take a break from physical activity for a couple weeks, or as long as you need. Pay attention to how your body feels when it’s not moving. Do you feel tired, groggy, and sluggish? Do you find yourself wanting to get up and move around and just do something? At the end of your exercise break, make a list of all the activities that sound enjoyable to you. Maybe it’s yoga, pilates, or walking. Maybe it’s something more intense like running or weight lifting. What sounds fun and enjoyable to you? Listen to your body– it knows exactly what it needs. Do you have a favorite movement that you enjoy? I love this analogy, Emily! Very well said and so glad you’ve found movement that you enjoy rather than forced! Thanks for reading, Sarah! Yes it’s SO SO important to find joyous movement! Thanks for having me on the blog, Alex! 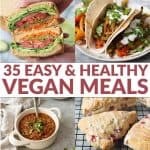 🙂 Love your message + recipes and so happy to be a part of it!